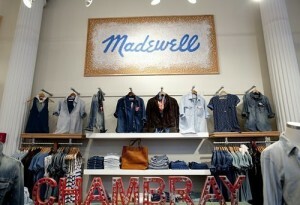 Throughout the month of October, the Madewell stores of NYC are offering FREE monogramming. You’re favorite Madewell Transport tote bag or leather belt, why not throw a monogram it. Hi the Soho Madwell on October 18th between 12-3pm or the Madison Ave. store on Ocotber 25th during the same time period. If you can’t make it on those days, visit the new Williamsburg Madewell from October 28th-31st anytime during business hours. 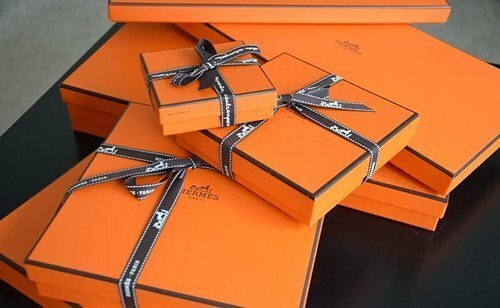 For a little high end “Treat Yo Self” moment, his the Hermes Sample Sale on October 23rd. While details have not been listed yet, based on past sample sales you can expect discount of around 50%. 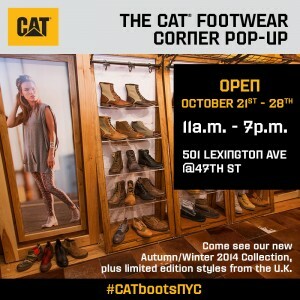 For a more rugged edge, Cat Footwear is opening it’s first ever US store in the form of a pop-up shop in Midtown Manhattan. 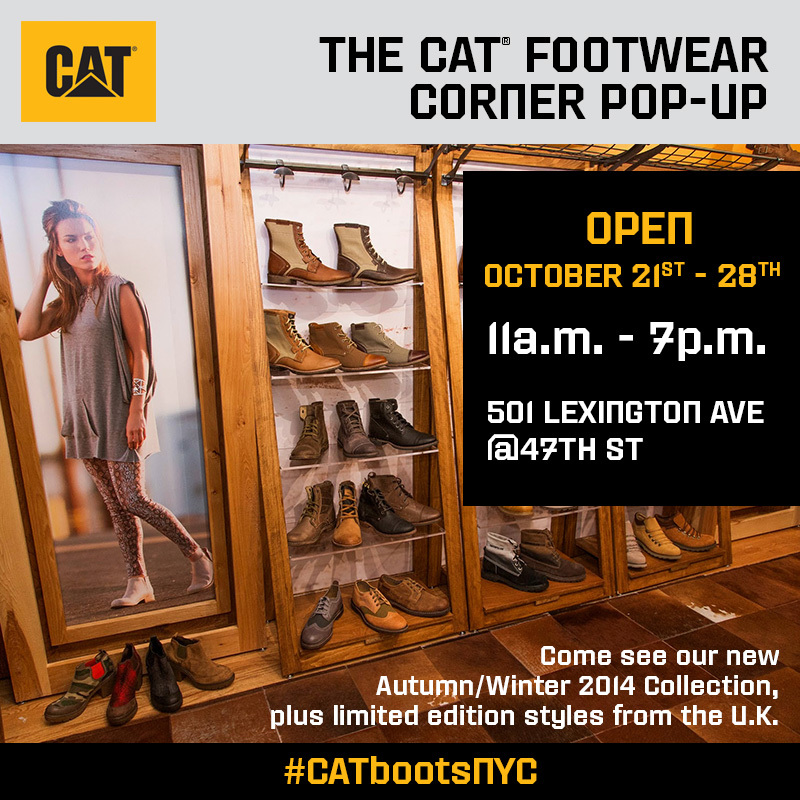 If you’re on the hunt for a new pair of Autumn/Winter boots, this is the place to be. The pop-up will be open for shopping October 21st- 28th from 11am-7pm. Rachel Zoe is having a Sample Sale at Chelsea Market from October 29th-November 2. Expect to get deals on ready to wear, footwear and jewelry from up to 70% off. H&M’s soon upscale lifestyle brand & Other Stories hasn’t opened it’s first NYC store just yet, but they’ve launched their online shop and if you make a pre-Halloween purchase with the code FRIENDS you’ll get free shipping and 20% off your order. 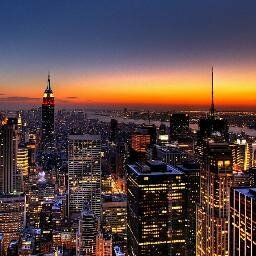 The NYC shop opens for business on October 17th. This entry was posted on Wednesday, October 15th, 2014 at 1:38 pm and is filed under Accessories, Fashion, Shout-Outs. You can follow any responses to this entry through the RSS 2.0 feed. Both comments and pings are currently closed.